Over the past month, the Journalism.co.uk team has been working on the agenda for our upcoming newsrewired conference, and we are pleased to announce our first round of speakers, including experts from The New York Times, BuzzFeed, TBIJ, Condé Nast International, and more. 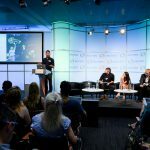 Newsrewired takes place on 19 July 2017 at Reuters in Canary Wharf, London, and as usual, the focus of the event is on practical learning based on the latest trends and techniques in digital journalism. A limited number of discounted early-bird tickets (40) are available for £130 +VAT until 21 April at 23:59 GMT or until the tickets sell out, whichever comes first – after that, tickets will be available for £180+VAT. 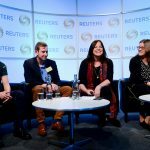 Journalism.co.uk is pleased to announce the next newsrewired digital journalism conference will take place on 19 July 2017 at Reuters in Canary Wharf, London. This will be our 19th conference, and as usual, we’re aiming to provide delegates with practical skills and ideas they can take home and explore in their own organisations. The day will feature a mix of workshops and panel discussions about the latest tools, trends and techniques in digital journalism.